Franklin Floors offer full floor installation for any commercial property. Whether you are looking for carpet, vinyl flooring, tile flooring or laminate flooring, we have just what you need to make a lasting impression. When it comes to flooring you need an expert who understands every aspect of the trade. We will help determine which kind of flooring best fits your needs. Quality installation makes a world of difference in the appearance of your flooring. An installation done right can make budget-friendly flooring look high-end, but conversely, a second-rate installation can leave even the best flooring with obvious seams, lumps, bumps and other issues. It’s important to remember that mistakes made during installation can comprise the appearance, functionality and lifespan of your flooring. 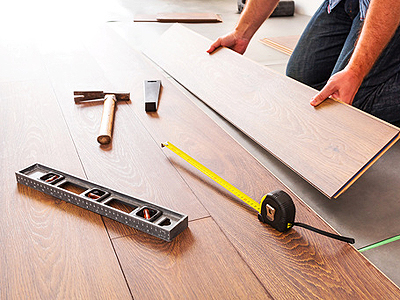 Before making a flooring purchase, ask us to walk you through the installation process.